We will be organising a number of development days for players age 9-18 of all skill levels, including beginners from any club. If your club has younger players just starting out they would be very welcome to get involved. This year we want to put a particular emphasis on getting new players into our sport and are encouraging younger players from aged 9 upwards to come along and avail of the development days. Overload! 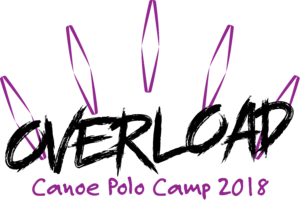 our two-day canoe polo camp returns to Mullingar again on 17-18 August in Mullingar. The format will be similar to last year with a couple of twists. More details and booking form to follow. Kilcock is running a one-day Junior competition on 22nd June. Again, if your club isn’t fielding a team but you would like to play, let us know and we will match you up with a club looking for a player. The Belfast Junior International will take place from 31st July until Sunday 4th August, promising to be a another world class event, with clubs expected from over 20 countries at the Lets Go Hydro centre. This year, NCPC/Junior Development Programme is not running a Squad selection process – all teams will be Club teams, so everyone of an appropriate age has a chance to participate if they wish – your club will be responsible for selecting and entering teams. However, if you would like to play on an under 15 or under 18 team and your club is not participating, let us know at the first Development Day (March 9th) and we will find you a team. – Updates will be posted to that page. – Please study the entire timetable (not just your division), as you may be on Table Duty or Refereeing a lower division than the one you have entered. – There is a separate tab for each Division. Captains and Referees – IMPORTANT ! – Captains & Referees are to assemble at 8.00am on Saturday Morning at the Boathouse in the Harbour for a meeting with the Head Referee(Sean Downes) and Organisers. – A number of steps are being taken to improve Refereeing and Player Discipline. Your Captain and Referees MUST attend this meeting. – Under competition rules, if your Captain and Referees do not attend, your team will start your first game 1-0 down. If you have an insurmountable reason why you cannot attend (e.g. flight arrival time), please email develop@canoepolo.com looking for a written waiver. CI Numbers – ALSO IMPORTANT !! · Div 3 games will be played above the bridge (pitch 3). · On Saturday, please do NOT park in the ‘TopLine’ hardware store car-park on the bridge, or down the Cul de Sac near the bridge. · There is parking along the Harbour, and in the Railway station car park and in the car parks on the north (town) side of the harbour. There is also a lot of free space at the old Kellys Garage site. · Toilets are at the Scouts Hall, which you can access by going down the steps near Pitch 3. · Free Tea and Coffee will be available in the Scouts hall 10am-4.30pm each day. You can access this by going down the steps near Pitch 3. · On Saturday we will have free Soup and Rolls available between 11am and 3pm in the Scouts hall. · On Sunday we will have a free Barbecue between 12pm and 2pm. · Sunday Barbecue location will be advised – depending on weather ! · Under 18s are not to camp unaccompanied. · If you intend to avail of the free camping but have not let me know, please do so now. · Every pitch has a pitch manager, if you need first-aid or have any other query, please alert the pitch manager who will organize first-aid/assistance. · Kilcock GAA/Camping site has a restaurant and bar. 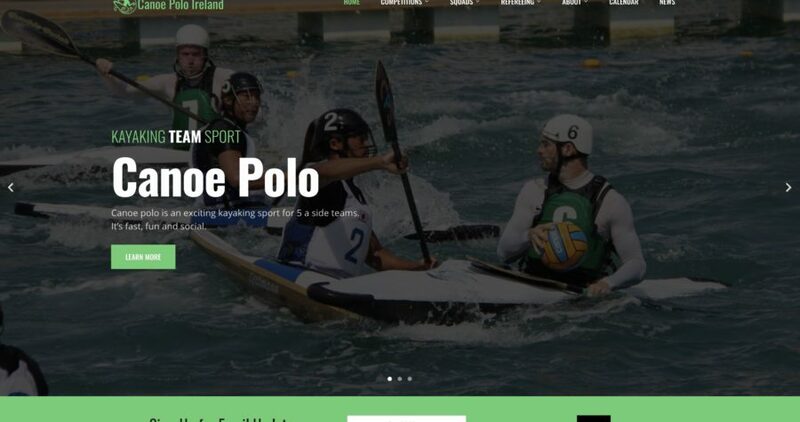 Here is an update on upcoming competitions and national events over the next couple of months in the Irish Canoe Polo Calendar. Belfast Argento Cup – this one day competition on August 3rd for Juniors is the second competition in the Argento Sponsorship, following on from the Kilcock Junior competition earlier this year. Find out more and register your teams here. 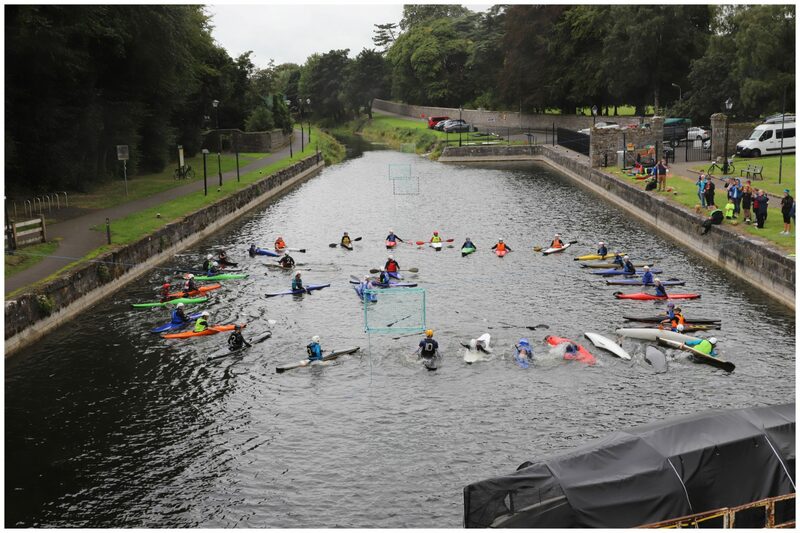 Club Championships – This years club champs is run by Royal Canal Kayak Club in Phibsborough on 11th and 12th August. Find out more. Kilcock One Day Competition – this one day competition has Div 1, 2 and 3 and will be similar format to the one day competition in July. Register your team here. Junior Development Weekend in Mullingar, 1st and 2nd September. 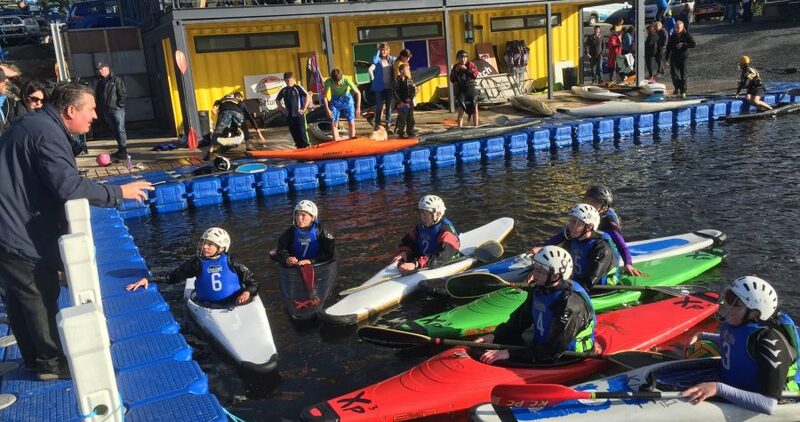 This is open to any junior who can paddle and promises to be an exciting event in the new venue of Mullingar Harbour. The 2018 Irish Open, which will take place in Kilcock on 29th and 30th September. The 2018 Irish Open returns to Kilcock Harbour. 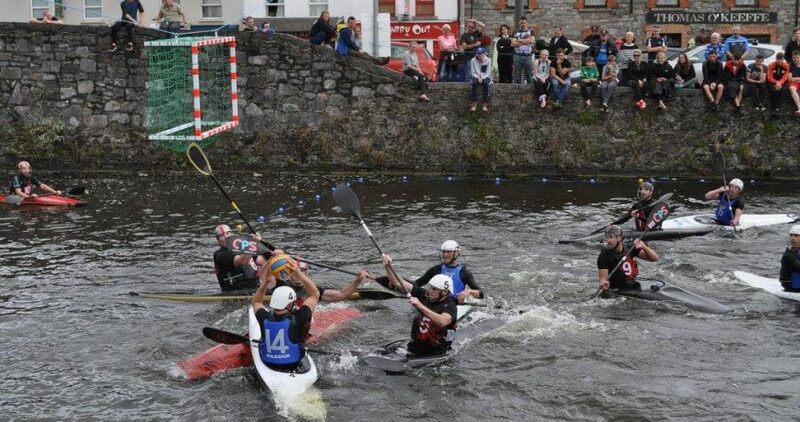 Just outside Dublin, with excellent transport links and free camping available, Kilcock is looking forward to welcoming you once again to this exciting competition with a great atmosphere – the perfect way to end the 2018 Canoe Polo outdoor season. This year will be special, with Kilcock celebrating its 20 year anniversary as a club. International Teams are invited to come and participate for free (no entry fee and no charge for camping). There will be 4 Divisions – Div 1, 2, 3 and an Under 14 division for younger players. The competition venue is right in the centre of the town with easy access to coffee shops, convenience stores, supermarkets, takeaways and pubs. We will have 4 pitches for a weekend of non-stop Polo. Free camping will be available at no cost at the local GAA Sports club, a 10 minute walk or 5 minute drive from the venue. Overnight facilities including toilets, showers etc. will be available. Food and refreshments will be available free of charge at the venue for all registered players. Sunday barbecue ! Kilcock is just half an hour from Dublin Airport and an hour drive from the Dublin Port ferry, or 2.5 hours from Belfast. * Pitch equipment – We will have dedicated pitch boats (XP3s) and equipment available for shared use, for teams coming from outside Ireland. Let us know in advance what you need and we will do our best. * Airport Pickup – If you are arriving on the Friday night, let us know in advance and we will collect you at Dublin Airport. All proceeds go to the National Canoe Polo Committee. This event is supported by Sport Ireland.